We are a progressive, diverse, and loving parish set in the center of Silicon Valley. By extending our hearts and minds, we provide a spiritual oasis and engaging experiences for all who join us. Come be accepted for who you are and grow with us! Our journeys, our questions, and our experiences are all different, but we are committed to broadening our spirituality and joy as a community and our service to those around us. 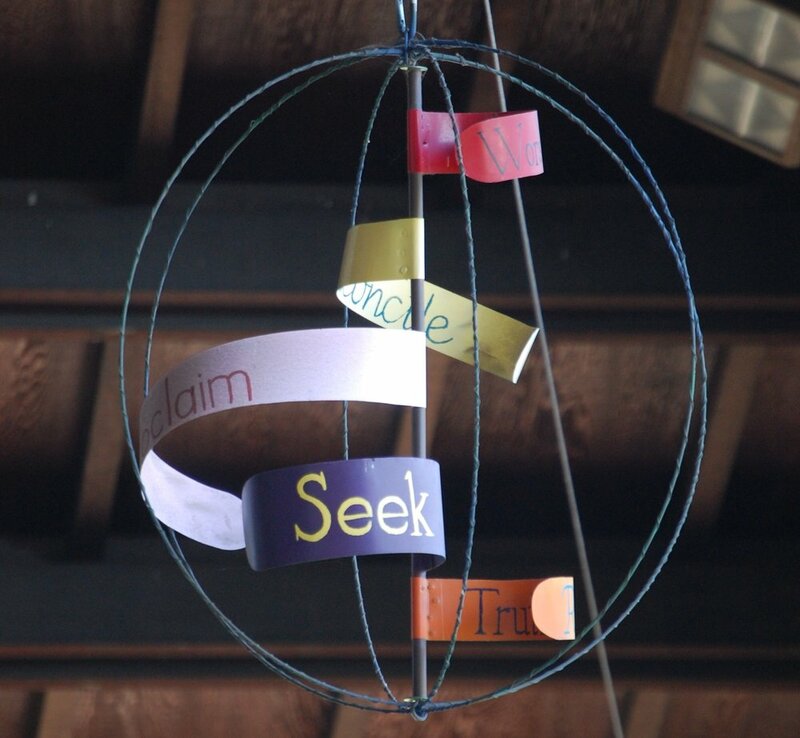 St Mark’s actively works to engage the spirit, mind, and body of every member in order to increase our capacity to do good as individuals and as a congregation. After 60 years of growing, changing and developing, St. Mark’s stands at a crossroads as God’s outpost in Santa Clara. We have and want to share the momentum and spirit that is developing us into the church we are called to be. Join us for the journey of a lifetime. Thinking of stepping through the door? Are you thinking about walking over the threshold into St. Mark's on a Sunday morning? Whether you are brand new to faith or born and raised with faith, you are welcome here. We offer two very distinct worship experiences on Sunday morning. Both are Eucharist (pronounced Yew-car-rist), the Greek word for Communion or the Lord’s Supper, which is Bread and Wine. This smaller gathering is a great quiet start to your Sunday. Our Eucharist uses the Book of Common Prayer Rite I. This Rite contains some of the same prayers and language used in England during the time of Queen Elizabeth I. The language is beautiful and traditional. 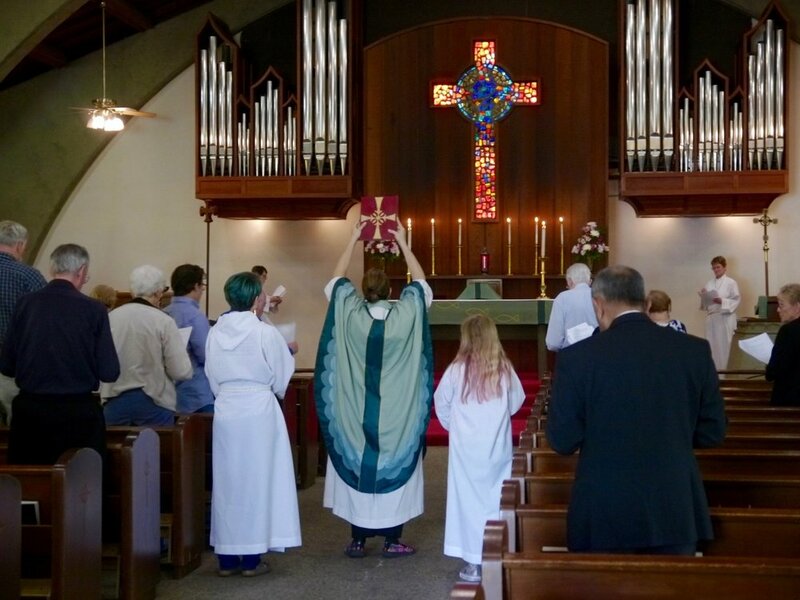 Our 10 am Eucharist uses prayers from across the globe of the Anglican Communion.It is not unusual to hear everything from classical to contemporary music to spirituals in one worship service. There is a wide range of dress in our church everything from jeans and a polo shirt to people dressed up in a tie. We welcome you no matter how you are dressed. At 8 am, you are invited to sit with a member of the congregation and they will help find your way through the Book of Common Prayer. At 10 am, our bulletin gives you everything you need in order to know what happens next. Would if I want to come to church but would like to have a little tour ahead of time? No worries! Contact Michael in our office and he’ll set up an appointment for you to meet George our priest for a tour. Michael can be reached at 408-296-8383 or email stmarksscoffice@gmail.com. At the heart of our Spirituality is creating a Christian practice that is gentle, compassionate, open, and engaging. “Being Church” is not about our building. Being Church is about our relationships. Reverend George McDonnell offers recordings of her weekly sermons. The archive of the past several sermons are available here. I Am Kid, Hear Me Roar!